Among the problems The Boyd County Detention Center has faced over the last year, this morning they have reported an inmate’s death. 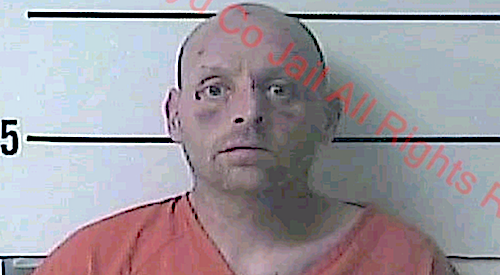 Boyd County Coroner Mark Hammond and investigators responded to a call reporting the death of an inmate early Thursday morning. The deceased inmate was identified as Michael Moore, 40, who was in lockup for public intoxication. He was arrested on Nov. 28. No address was given in the police report. Cause of the death has not been revealed as of yet. The Kentucky State Police will be investigating and we will continue to update you about this story as details are known. Thirty-three overdose deaths have been reported in Boyd Co. during the 2018 calendar year, Hammond said, with 11 females and 22 males having died of drug overdoses. This article isn’t written very well. Is this saying 33 people have died in “Boyd County” (Detention Center) this year? Or Boyd County overall? If it’s Boyd County Detention Center, there’s some very SERIOUS problems going on there and the feds need to investigate. If they mean Boyd County overall… then that’s irrelevant to this story since his arrest was Public Intox and the comment was about overdoses?